A mens eye cream that reduces dark circles and eye puffiness.Long nights are no match for this instantly cooling formula that provides weightless hydration and refreshing relief for your tired-looking undereyes. With continued use, this formula, with Caffeine and Vitamin B3, helps reduce the appearance of puffiness and dark circles. 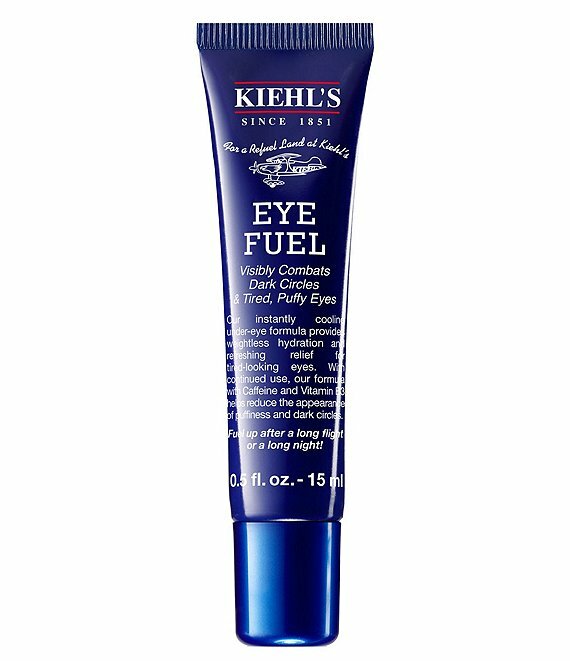 Eye Fuel is the energizing kick your under eyes need. Caffeine: An odorless, slightly bitter alkaloid. Caffeine has been shown to help reduce the appearance of puffiness when used in skin care products. Vitamin B3: Niacinamide, the form of Vitamin B3 used within this formula, is known to help brighten skin. When used in topical skin care formulas, Vitamin B3 helps illuminate skin for increased radiance.